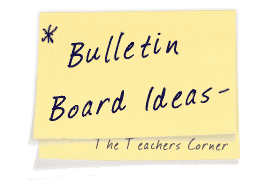 Our April Bulletin Board Ideas page will provide you with great resources for a number of monthly events, holidays and themes. Our bulletin boards will help you integrate seasonal activities into your daily curriculum. 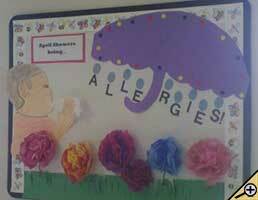 Ideas within the April bulletin board pages include resources for the following: Easter, spring, flowers, and bunnies. 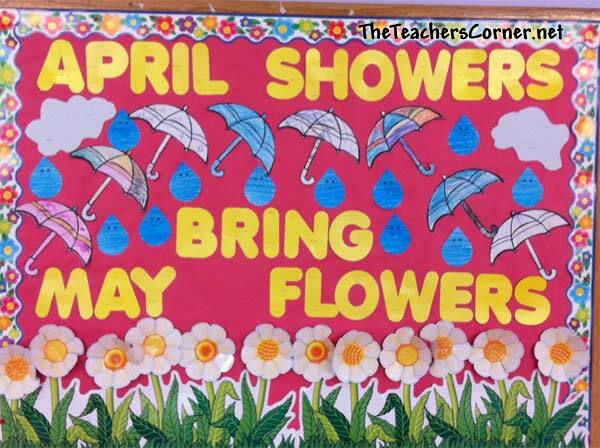 Saying: April Showers Bring... Allergies! Use this bulletin board idea for a easy 3-D board sure to catch any K-3 student's attention. I made a large sheep head out of white poster board and made yarn curls out of white yarn on him. Half of the bulletin board should be covered in sky blue and the lower portion in green paper. I cut 6 in. strips of green paper the length of the board and make layered grass by cutting strips of this paper and rolling it down with a pencil to create a 3-D effect. Place the sheep on the board along with some bright construction paper flowers and silk flowers among the grass and the catchy "Ewe can Read!" phrase... and you have a great spring time board! Background color...Bright sky blue with a bright green low rolling hill at bottom third of board. A large white rabbit hops across the board carrying a basket of books. Other books are bouncing out of the basket with titles, authors, and cover illustrations displayed. Students could even create their own favorite book covers to display.